When summer hits we don’t want anything to do with hot dishes, so we love it when we find an excellent recipe that does not need to be cooked. My Sister-in-Law made this recipe for my husband and we have been enjoying it ever since! 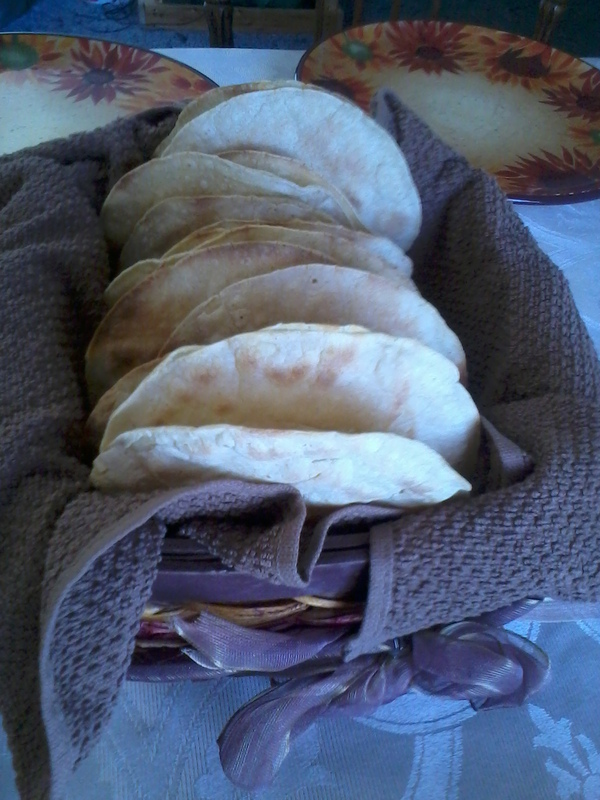 It is beautiful, simple and tasty! Unfortunately I do not know the original source for the recipe as my sweetheart just took a picture of the ingredients and brought it home, but there is a reference that says Dragonfly Cafe, so it may be the original source, however the recipe I found on line under this name, although similar is not the same recipe that I have. You can view the other version here. I am adding my version, to this blog to preserve it and make it more accessible in the future. Here is the recipe… enjoy! 3. Prepare yogurt sauce by mixing yogurt with all spices, add shrimp and coat well. 5. 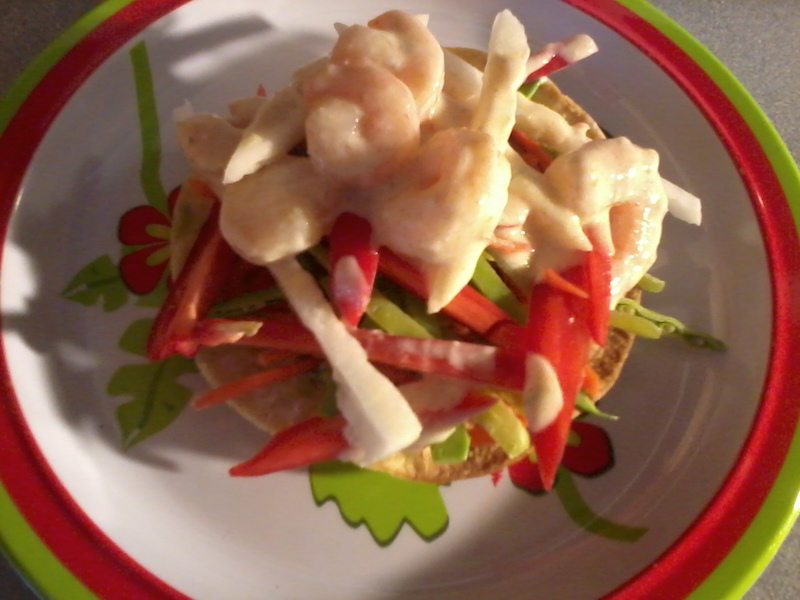 Put desired toppings on the tostada shells and enjoy! ps. guacamole is simple to make… all you do is – mash an avocado with a fork add about 1/2 tsp lemon juice and a sprinkle of garlic salt mix together taste, adjust ingredients as needed and serve!